Funeral Cover ME | Mobile Site - Get Covered Today! 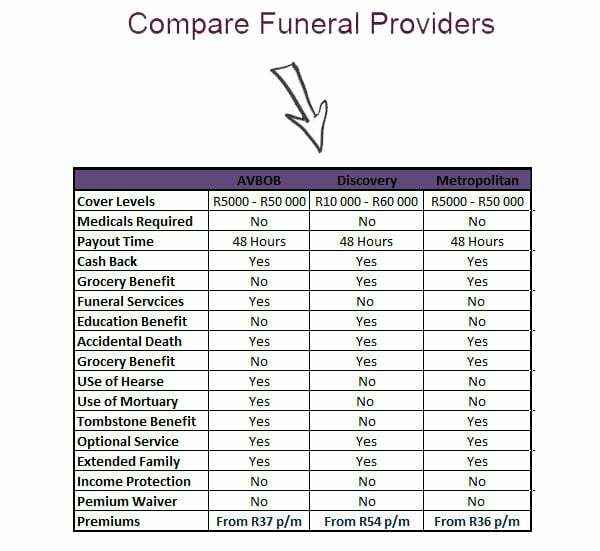 Funeral Cover ME is an innovative way to find affordable funeral cover in South-Africa. This service is rendered by Inshoor, a registered financial services provider. Inshoor was rewarded top AVBOB broker in South Africa in 2012 & 2013. This service is absolutely free – it does not cost you a cent to sign up with our service. Funeral cover is a type of insurance. Burial insurance will ensure that funds are made available quickly when you pass away. Most of us have a life insurance policy. A life insurance policy can take months to deliver any funds. With most funeral insurance providers, you will have funds available within 48 hours of a claim. This ensures that when we die, our family will not struggle financially. The Benefits of Funeral Insurance? There are various benefits to having burial cover. First of all there will be funds available quickly. With most providers, you will be able to include various family members. You can ensure funds for less fortunate family members. With most funeral plans, you will receive a multitude of benefits. Below are some benefits offered by the providers we represent: The listed benefits are selected from all providers. Everybody needs to make provisions for when we die. Death is inevitable and does not discriminate against age. With most funeral insurance providers, you will be covered for accidental and natural causes of death. As a matter of fact, most providers will actually increase the pay-out if you die as a result of an accident. Young or old, everybody needs to ensure that there are funds when the die. Whom Can I Cover Under My Policy? All the providers we represent have a minimum of R5000 cover. This is in most cases not enough to pay for an entire funeral. The maximum amount of cover you can get using our service is R60 000. This amount is the cash benefit and does not include extra benefits. For example with some providers, if you die as an accident, your cover will double. The maximum amount will be different for different relationships. With most providers, there are limits for certain extended family members. PrimeSure is a registered financial services provider. We specialize in funeral cover. We only represent the top providers in South-Africa. We offer this service absolutely free; there are no additional costs to sign up with our service. You will always speak to the same consultant; we do not outsource our service. This means that you will receive just one phone call and always speak to the same agent. Below are some reasons why you should use us. We provide a national service but are based in Centurion.